Hi All! Welcome to day 2 of Stamp Highlights as we take a look at Sunday Sentiments, a wonderful sentiment set that takes a different path from the rest! We think Elena's card is so cute! We love how she masked the iguana onto the boy's shoulder - they are best friends for the summer! And the ink splatter looks like... dirt! Sunday Sentiments provides the perfect grounding for these adorable images. May created an amazing little scene for someone just as amazing with Chance of Rain and Sunday Sentiments! Pamela paired two little owls and the beautiful wreath from Charmed with the congratulations sentiment for a wedding card. We love how the little owls are perching on the sentiment! Laura masked off the sentiment line to add colorful ink blending and a cute girl popping up from In My Heart. 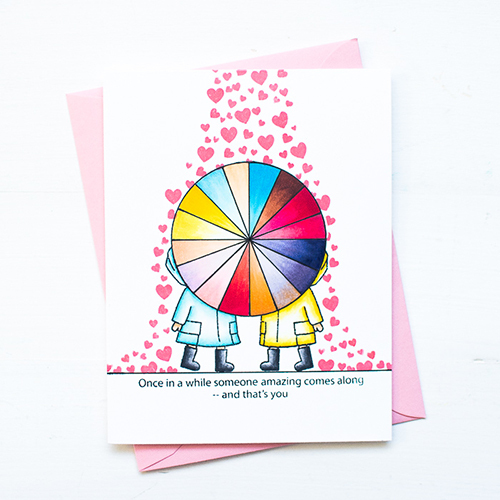 Ashley created a sweet friendship card with this pair of sentiments! 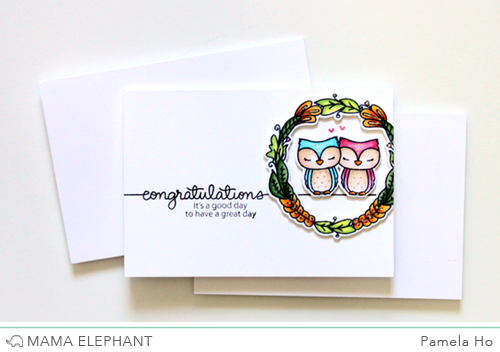 The colored owl and die cut wreath from Charmed are the perfect match to this cute card. 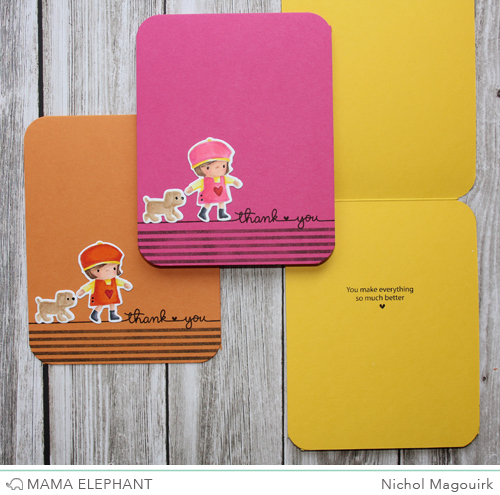 Nichol created a set of 5 thank you cards using greetings from Sunday Sentiments on both the front and inside of her cards. 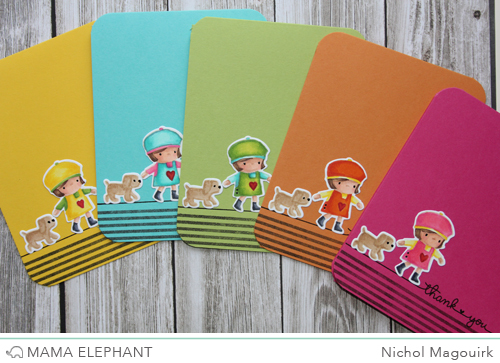 We love how Nicole used the sentiments and how she created a mirror image to make the two girls looks like best friends! More wonderful projects to come tomorrow! So cute. Love all of the couples and the loving theme. Love all of these. This set is so cool. These are all sooo cute! All the cards are just adorable, but I have to say May's card really calls to me it is just to cute for words. Thanks to all the ladies for sharing always so much inspiration to be had. As always, the DT girls have showcased the new release beautifully! Love all these cards! 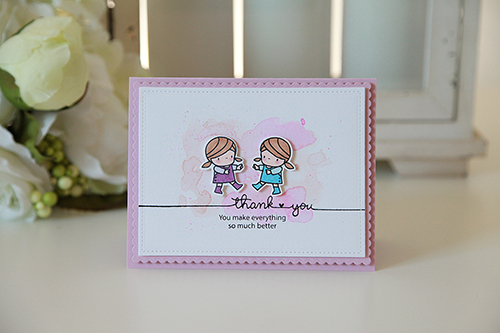 This sentiments are super nice, the line is great for elegant cards! I usually am not a fan of people stamp/dies---but I really like these! !